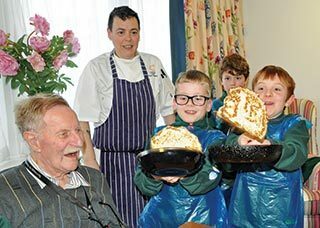 Cubs from Sturminster Newton Scout Group join residents and staff at Newstone House for a pancake party. 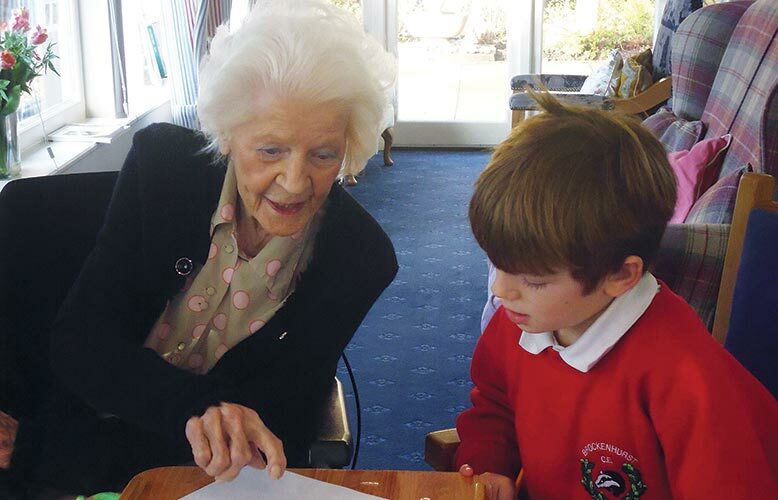 Age really is no barrier to learning or making friends. 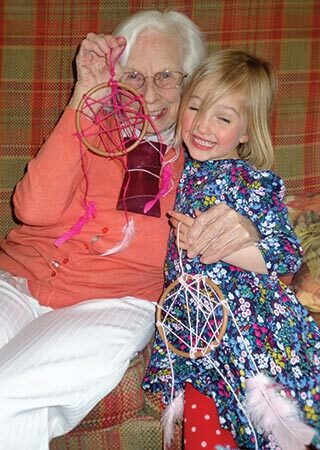 Across all our homes residents are enjoying the companionship of children, from toddlers to teenagers. Our ‘Closing the Gap’ initiative is based on our strong community links with local schools, Scout groups and nurseries. It involves welcoming groups of children into our homes for conversation, word games, arts and crafts, and other gentle activities. The benefits are clear. It’s a great way for children to learn the skills to be around our older generation, especially if they have little or no contact with a grandparent in their lives. 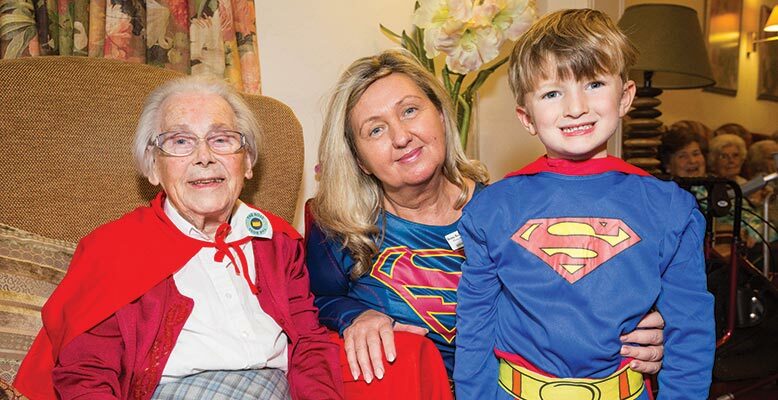 They enjoy a learning experience and the chance to find out about the life of someone much older; while for residents, the smiles and laughter can really brighten up the day. Pupils from the Thomas Hardye secondary school in Dorchester have been visiting nearby Castle View once a week since the start of the year. Crosswords, Scrabble and conversation have been the order of the day. 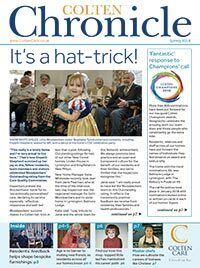 Castle View, our Sturminster Newton home Newstone House, and Canford Chase in Poole are among those experiencing a regular ‘toddler takeover’, with visits from nearby nurseries. Other homes making connections with young people include Woodpeckers, with Brockenhurst Primary School, and Whitecliffe House in Blandford with Bryanston School. Woodpeckers resident Yvonne Carnegie with a young visitor. 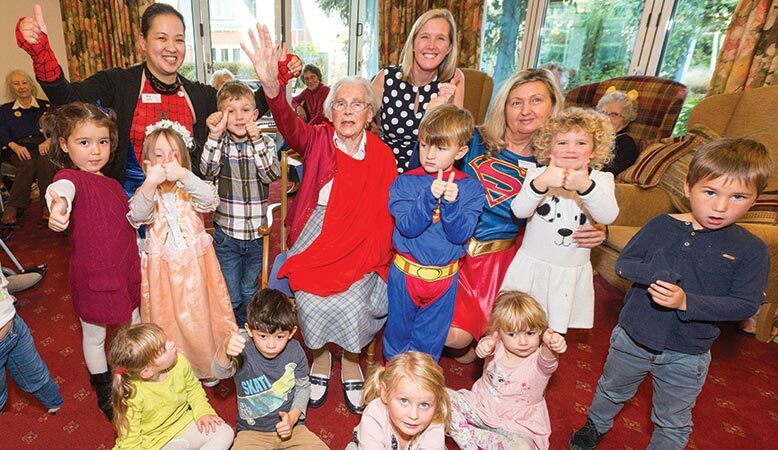 Residents at Kingfishers in New Milton began their relationship with Durlston Court Prep School by welcoming pupils for a super hero-themed afternoon of fun. Durlston Court Prep School pupils having ‘super’ fun at Kingfishers.